It’s Official–ClassJuggler is Highest-Rated School Software! When it comes to choosing software for managing your business, bigger isn’t always better. 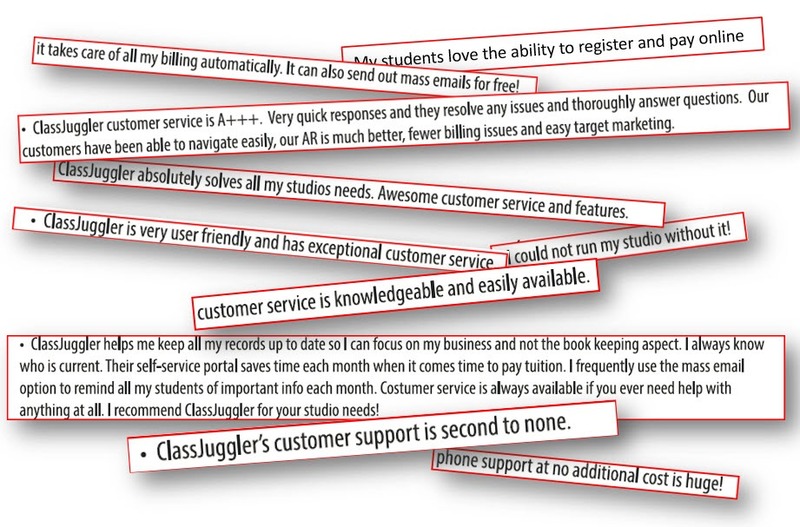 In a recent survey that compared overall customer satisfaction, ClassJuggler earned customer satisfaction ratings as much as 325% higher than its larger competitors. The survey by Tututix, a performance ticketing company, looked at the leading providers of software for dance studios, querying 600 school owners regarding customer service, product satisfaction, and importance of various features in the software they use to help manage the business of running their class-based business. 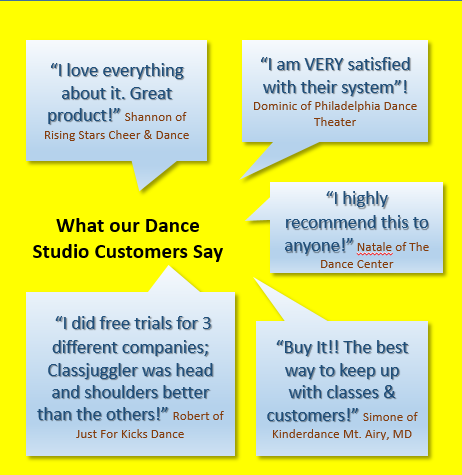 No matter the nature of your business – dance, gymnastics, cheer, academics, swim, martial arts, music, athletics, or other class-based business, including franchise businesses, ClassJuggler is your #1 choice for a full-featured customer and class management software. This entry was posted in About ClassJuggler, Cheer ClassJuggler, ClassJuggler Dance, ClassJuggler Dojo, ClassJuggler Fitness, ClassJuggler for Franchises, ClassJuggler K-12, Kudos from Customers, Music ClassJuggler, Swim ClassJuggler and tagged best software for dance school on February 13, 2015 by classjuggler.